You’ve no doubt heard more references to yesterday’s being an historical day than you can count. I’m going to say it too, but my purpose is apolitical. I am using this occasion to activate something within you that may be slumbering—either in these sleepy summer months, or, more broadly, at this time in your life, when complacency may have crept in. Yesterday, Hillary Rodham Clinton made history by shattering the so-called glass ceiling that has kept women out of the Presidential office for as long as there has been such an office. The accomplishment, no matter your politics, is undeniable. But let’s use this moment to take a look at the history-making possible for you–only when you shatter your own glass ceiling. What Barriers Still Exist Between You and Your Legacy Dream? Clinton is unique, in that her barriers were almost entirely external. Perhaps yours are, too, in which case, you have surely identified them and are on your way to defeating them. In my experience over the last decade of working with entrepreneurs on their big dreams, extern al glass ceilings are the exception. Nearly 99% of entrepreneurial limitations are created within. They are constructions of self-imposed fear, self-imposed doubt, self-imposed skepticism, self-imposed “certainty” of failure. Clinton could not—and for that matter no leader could–be in high-profile positions with internal glass ceilings. Something within her, and within all leaders of big aspirations, long ago shattered those self-created barriers. One could speculate how they did it, what factors played a role, but it comes down to this single truth: something was more important than the doubt, fear and insecurity. Some vision wielded enough strength to break through the self-talk that keeps so many stuck in their personal status-quos. I’m going to call this vision a wrecking ball. With enough wind-up, enough will, enough strength that weapon can sail through any barrier, shattering it into enough tiny pieces to render it nonexistent. 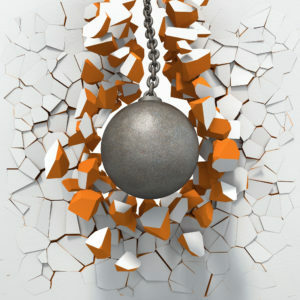 Have you ever had a wrecking ball that powerful? Then you know what it did for your life. Do you need another one now? Have you, over the years—perhaps by slow-growing complacency, disillusionment, distrust or worries about getting too old–constructed another glass ceiling above yourself that needs the weapon of powerful vision to not just crack it but vaporize it? 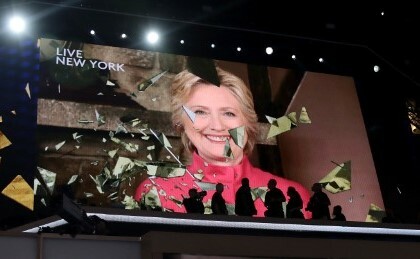 Hilary made history because she shattered a glass ceiling. You can only make history—whatever that means for you—by doing the same. Imagine that your ceiling is made of many pieces, rather than one sheet of glass. Because perhaps, really, you are looking for an excuse to live a quieter life. Perhaps legacy dreams were for another era, but our culture has shamed you into not being able to admit that. If you discover that your answer is, “Yes, I want these to be true,” then salute your ceiling for its wisdom and go proudly about your life. 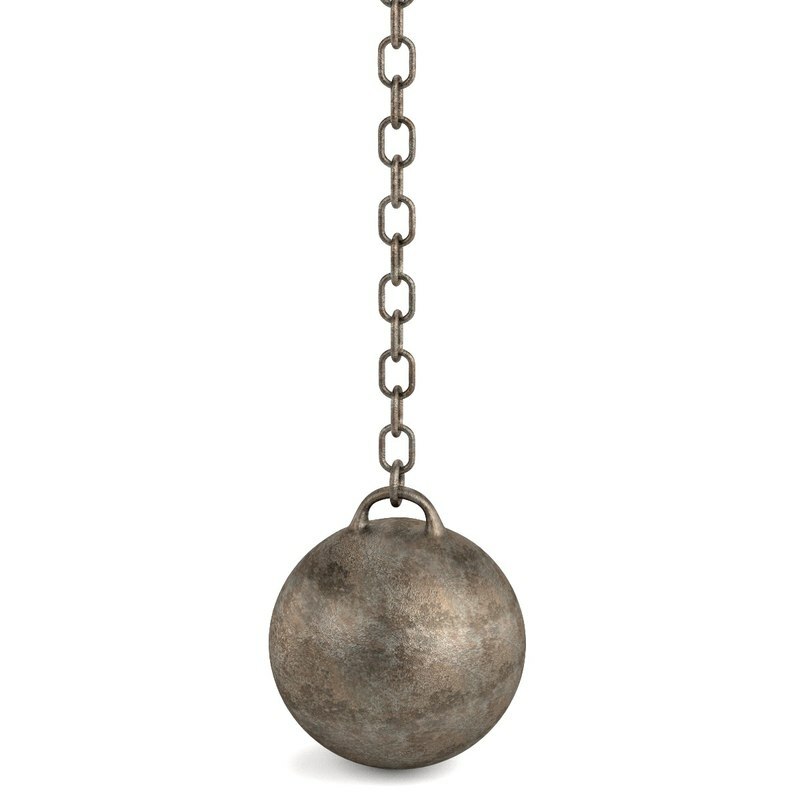 …then it’s time to build your wrecking ball. But a wrecking ball has no power on its own. It will never shatter your self-imposed ceiling without momentum, motivation. It will just sit there as dead weight. You know the feeling: you have big ideas, but you don’t do anything about them–and the shame works on you. The following three questions reveal why people do/do not act. When we answer yes to these, we move; when any one is met with a “no” or “I don’t know,” we sit. In order for your wrecking-ball-vision to blast your ceiling, you need a yes for all three. Number three is the only one that can’t be transformed or persuaded into a yes. If your cause is not worth it, don’t waste another moment considering it. Get another one–or salute your glass ceiling and proudly go about your life. What and who could get it done? What and who could help me do it? By now, you should be feeling like the Hulk! Starting to bust at the seams of possibility. THAT is the wind-up that will catapult your wrecking ball right through your ceiling. And you know what’s kind of funny about it all? Funny-curious, not funny ha-ha. Nothing physical was needed to shatter your limitations. All of it was done with thought. 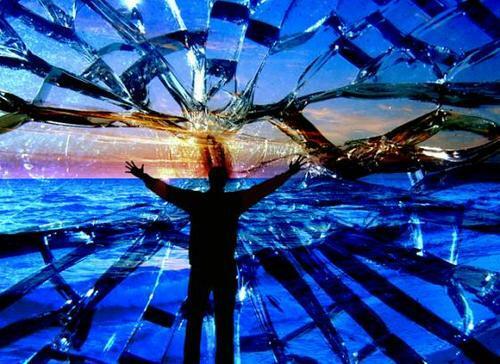 It goes to show that your glass ceiling is, and has always been, fragile–made itself only of thought. Against the power of a vision greater than yourself, it doesn’t have a chance. I help entrepreneurs build their legacy dreams (100% original and marketable.) In doing so, they shatter the self-imposed limitations that held them back for so long, and they say that is perhaps the most important outcome. If you are ready to blast through your glass ceiling and into a vision and future worthy of you, click here, scroll to the bottom, and let’s talk!